In a state famous for breweries, you can't possibly let your guests go thirsty! 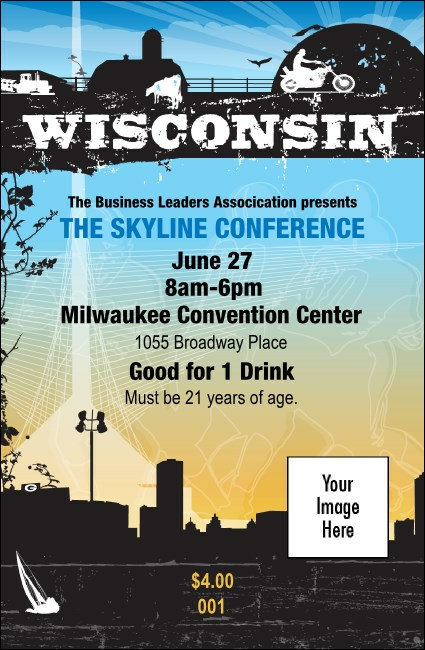 Keep the suds flowing, along with any other libations, with this Wisconsin Drink Ticket, printed in brilliant colors, with space to upload your organization or sponsor's logo. Get your event in order with the Wisconsin Event Kit. Find something to cheer about in TicketPrinting.com's huge online gallery of designs!